New York is very strict in its laws. A huge number of convicts are arrested every year for possessing and carrying knives illegally (especially the gravity knives). Also, the knife laws are quite descriptive and complex to be understood. Both knives carrying and owning laws are important here and you have to remember a lot of factors to get the risk free. In New York, the list of illegal knives to own or possess is quite bigger than the other states. If there is any intent to use unlawfully any dirks, daggers, stilettos, machete, razor and other dangerous knives or deadly weapons as well as knives or other instruments. When anyone possesses any of the dangerous or deadly weapons and he or she is not the citizen of the United States. “Penal Law – PEN § 265.01: Criminal possession of a weapon in the fourth degree” mentions all these illegal knives to be possessed. There is no specific knife carrying laws in New York. Any legal knife can be carried concealed or openly without getting offended. But you cannot carry any knives which are illegal to possess here. The statement mentions above that dirks, daggers, stilettos and other dangerous knives are illegal when they are intended to use them unlawfully against one another. So it can also be said that these knives can be carried openly or concealed without any wrong intention and that would be legal. But it will be difficult and hard for you to carry these dangerous knives without getting offended. So, it is better that do not carry these outside even if you own one without any bad intention. Carrying switchblades and gravity knives during the period of hunting, fishing, gaming or trapping might be legal if you have the lawful permit for that. But remember once again, a big list of people is getting arrested every year for carrying especially the gravity knives in New York. Maybe those people do not get the permit of carrying these sorts of knives or maybe they cannot prove themselves as a suspicious one even though they are not or maybe they are really the guilty. But still, getting charged or arrested is not a good thing whatever the reason is, is it? So for this, you need to be very cautious before carrying knives, any sorts of knives in New York. There is no particular & fixed blade length size for the knives whether it is about the legal or the illegal knives. The schools of New York are of weapon as well as the knife free zones. Dirks, daggers, stilettos and other double-edged knives are legal unless they are intended to be used unlawfully against one another. * It is risky to carry a pocket knife and Balisong knives in New York because the Police and Court are comparing the pocket knives and Balisong knives with the gravity knives so far and people are getting arrested for this also. How to not get offended? 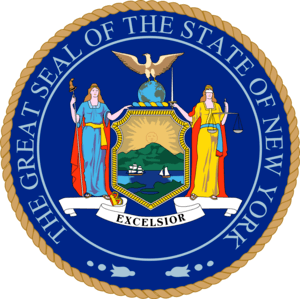 As it is mentioned at the beginning, New York is stricter than the other states and its rules and regulations are confusing sometimes. If you want no complicacy, then don’t go for the technical ways such as don’t carry any knives that can cause a problem. Also, you would not carry any dangerous knives or gravity knives etc. for no reason. So, if you really have any good reason to carry one, just let the Police know that you have a knife with you and the reason behind is this or that. It might be for your own defending or maybe you are on your way to a lawful hunting or fishing. And if you cannot prove any of that confidently, you will definitely go into trouble. So, it is better you be careful on the roads with knives. New York Knife Laws are not that tricky but obviously very lively. 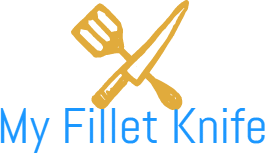 To get yourself risk and any sort of problem-free, learn the laws in the first place before traveling in New York and also to become a knife user here.